Put your matching and logic skills to the test in this super fun bubbles game! Play thousands of addicting puzzle levels and clear the board. If you used to love going to the arcade and playing fun bubble shooter games, you’d definitely have a blast with Board Bubbles! Start popping balloons today and train your brain with plenty of awesome puzzles and quests. With cool boosts and graphics, new challenges and super fun gameplay, you simply won’t put it down! - More than thousands of great levels packed with fun quests. - Easy and fun to play board game. Simple to learn but can be tricky to fully master. - Super relaxing shooter. Smash balloons and relax. - Powerful boosters to help you blast your way to the top. 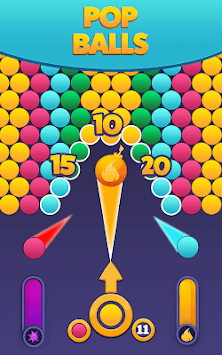 - Free bubble shooter game to play online or offline. - Classic game mode. Explode balls and work on your game tactics to win! - Cool graphics and visual effects. Start your free puzzle-adventure today. Play Board Bubbles now and enjoy hours of ball shooting and blasting fun. Sharpen your skills in this amazing strategy game, conquer all the challenges and clear all the bubble drops off the board. - Tap where you want to shoot. - Match 3 colors and pop balloons. - Create big explosions and major bubble drops. - Clear the board to level up. 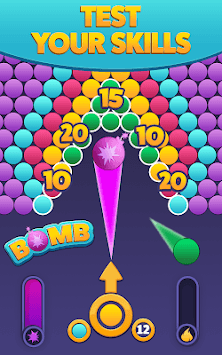 - Beat all the challenges in the best bubble pop game. Want to relax and clear your mind? Try out this great stress relief game and step into a world of sheer amusement. 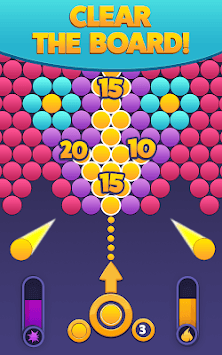 Enjoy the most exciting puzzle game in the play store and join the balloon popping fun! Play Board Bubbles everywhere, anywhere and as much as you want. No internet and no wifi connection is required.